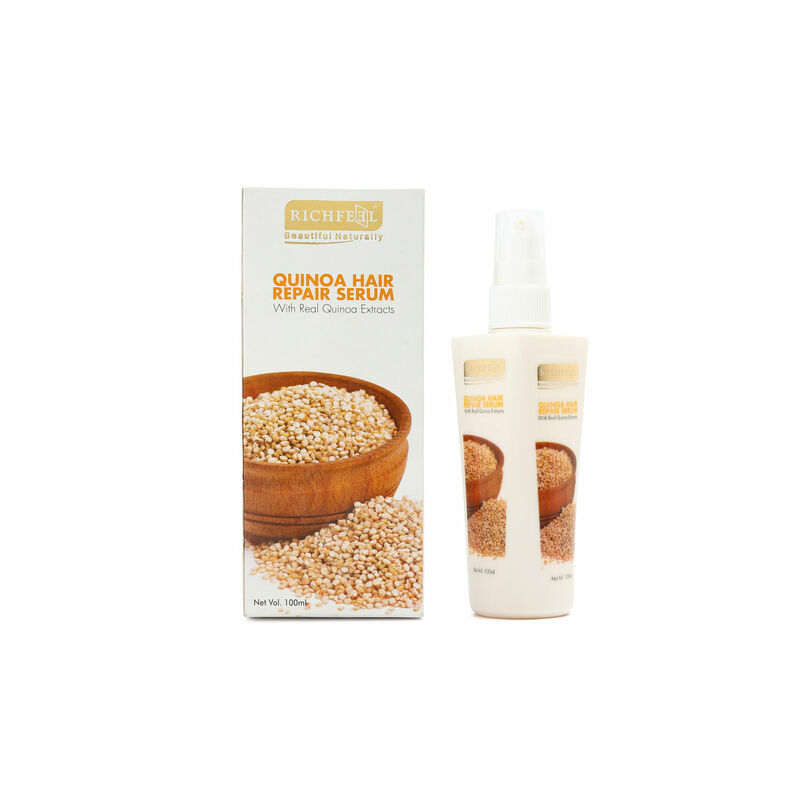 Quinoa (pronounced ‘’keen-wah’’) is a South-American wonder seed, harvested not only as a dietary staple but also for its innumerable health benefits. 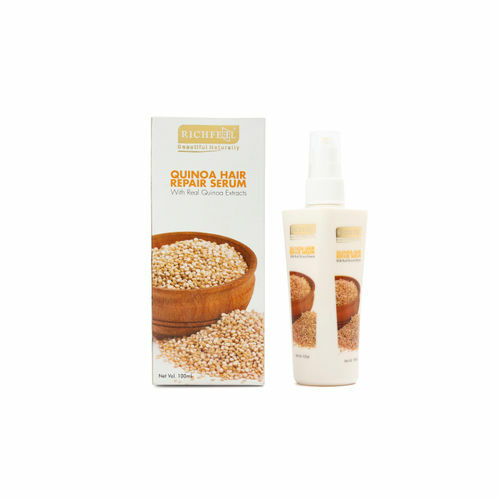 Our highly innovative Quinoa Hair Repair Serum is especially efficient in protecting and restoring your hair’s keratin, replenishing its daily good health. 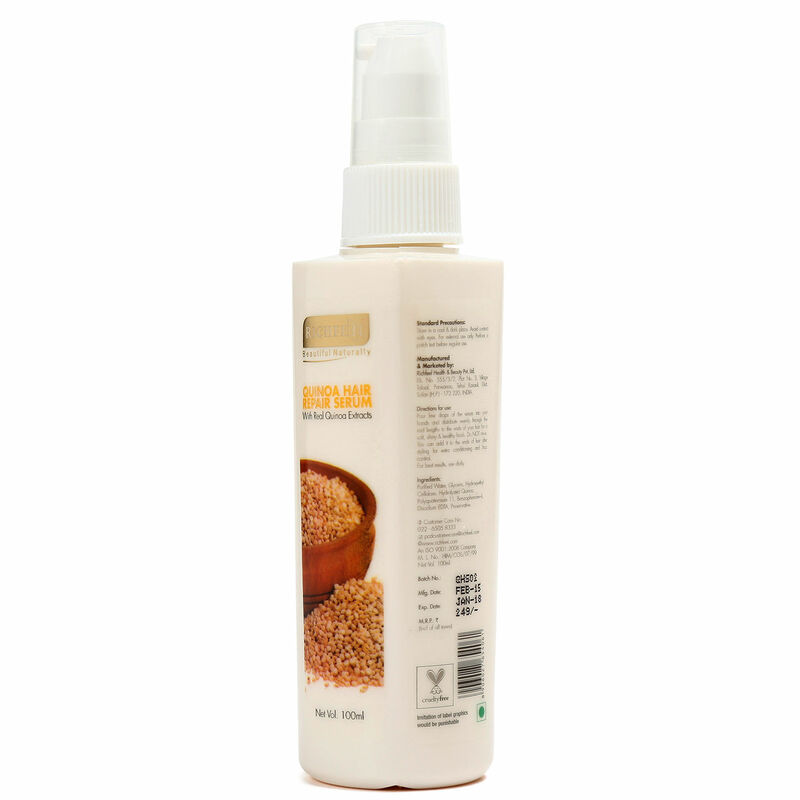 It strengthens the core of each hair shaft with a mega dose of protein while adding gloss and vitality without weighing it down with its oil content. 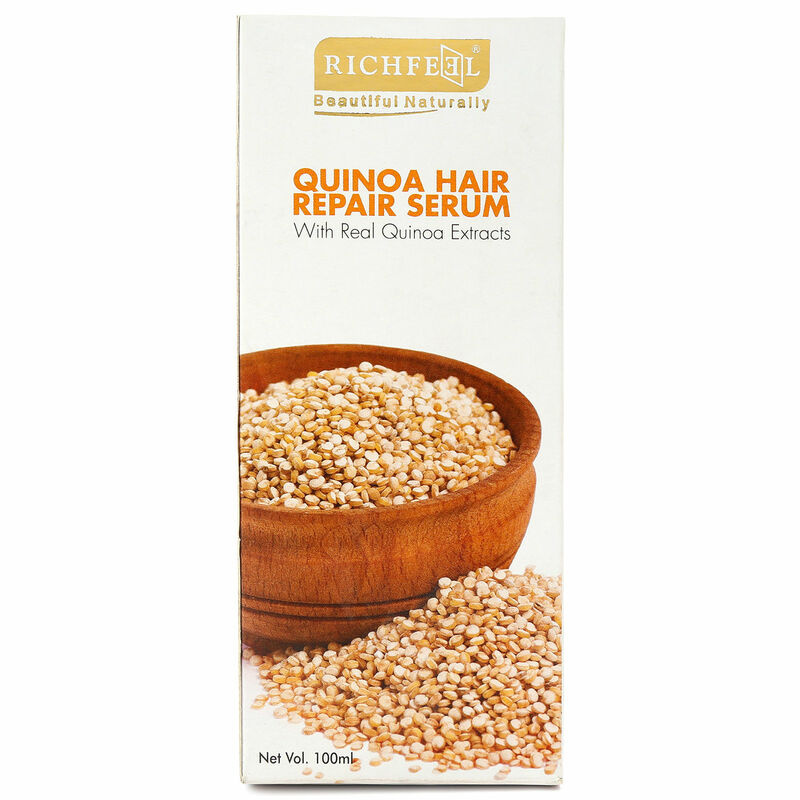 Your hair will instantly look and feel healthier and extraordinarily shiny. All together now: Hail Quinoa! 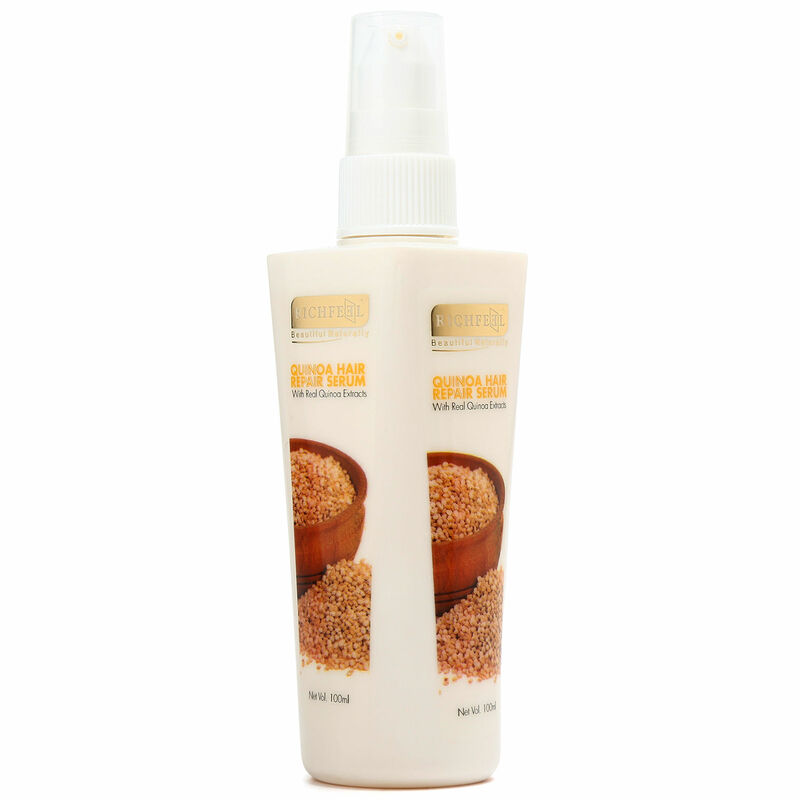 Ingredients Purified Water, Glycerin, Hydroxyethyl Cellulose, Hydrolyzed Quinoa, Polyquaternium 11, Benzophenone-4, Disodium EDTA, Preservative. How to Use Pour few drops of the serum into your hands and distribute evenly through the mid lengths to the ends of your hair for a soft, shiny & healthy finish. Do NOT rinse. 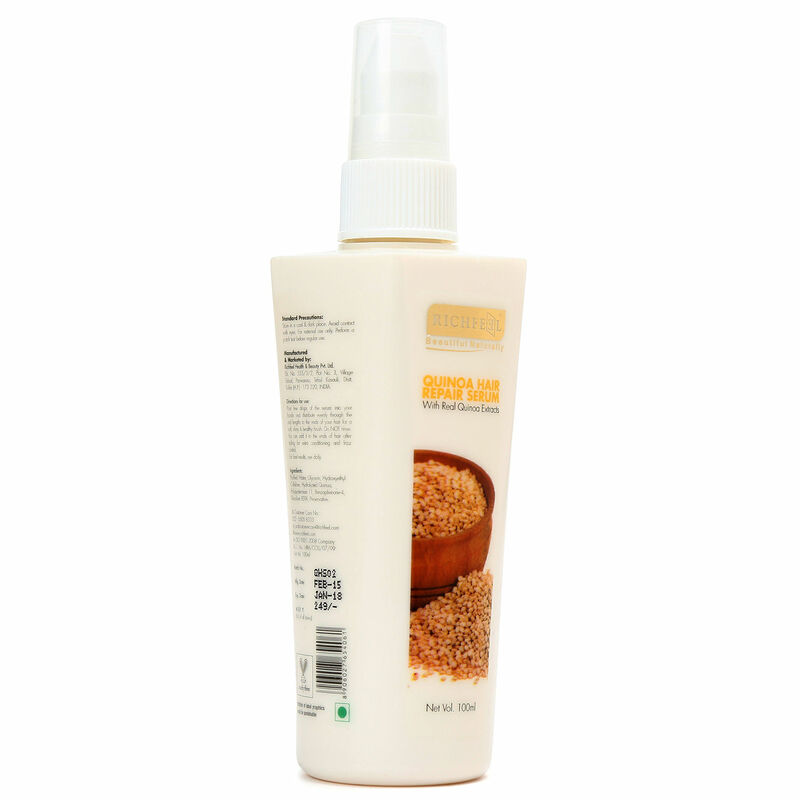 You can add it to the ends of hair after styling for extra conditioning and frizz control. For best results, use daily.